If you’re a parent or grandparent, you’re likely familiar with the saying, “You can never be too sure.” For 45-year-old Angie MacAull from Prince Edward Island, Canada, it couldn’t have been truer. Especially since the strange chest discomfort she experienced were warning her of a far greater health problem. One Spring night, Angie had made dinner plans with friends and that’s when she noticed her first unexpected symptoms. Playing it safe, she cut the night short and took a quick trip to the emergency room at Summerside’s Prince County Hospital. After running a series of tests and checking for a heart attack which came back negative, doctors concluded that her chest discomfort was a result of acid reflux. In the coming days, Angie and her husband Mike had a cruise to catch. Thankfully, the doctors had cleared her, so the two flew to Miami the night before their departure. But again, during dinner, Angie started suffering similar symptoms – only worse. Angie and Mike immediately flew back home to the same P.E.I. hospital for some more tests. Surprisingly, they returned negative; surprisingly, it was not a heart attack. Fortunately, Angie’s sister-in-law, an ER nurse, had a hypothesis of her own. She suggested that Angie go for a walk, brisk walk, and a light jog. Whereas the first two physical activities revealed no symptoms, the light jog spurred on something different. That meant bed rest for Angie, who was convinced the problem was rooted in her stomach, until doctors could run a dye test. 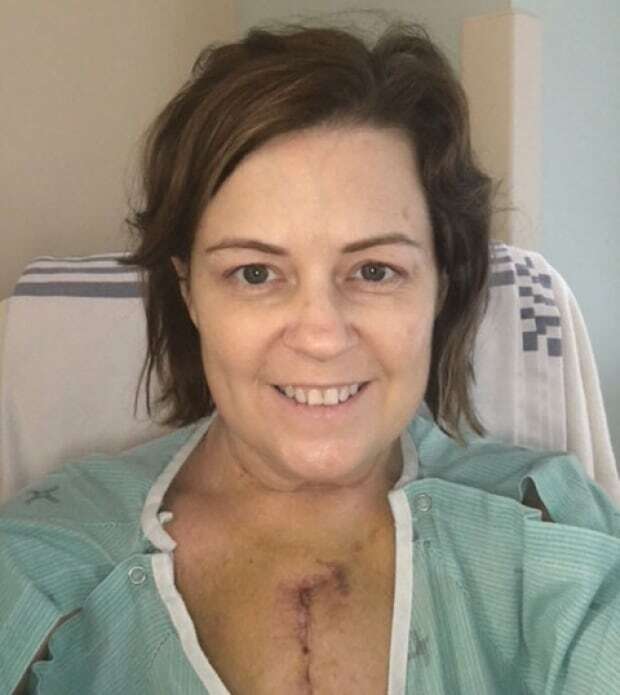 When the dye test was complete, Angie unpleasantly surprised to learn her heart had eight blockages, one of which was a main artery feeding the left side of the heart. With a newfound awareness of her heart condition, Angie admits that she had not been paying close enough attention to the warning signals her body was sending. And now, with a newly adopted baby, that’s something Angie promises she will not do again. In fact, listening to your body is a lesson she plans on passing on to her new daughter. According to Dr. Nieca Goldberg, medical director for the Joan H. Tisch Center for Women’s Health at NYU’s Langone Medical Center and an American Heart Association volunteer, “women can experience a heart attack without chest pressure,” an extremely common heart attack symptom in victims. Ladies, Please Do Not Downplay Any Chest Discomfort! Whether or not you’re surprised, far too often do women downplay their symptoms to less serious conditions such as the flu, acid reflux, or aging. If you do experience any of these signs, call 9-1-1 and get to a hospital as fast as possible. Read Next: This Mother Finds Out What's Causing Her Baby's Skin to 'Melt"